It’s been so long since we’ve had a Marvel movie with one of the main Avengers. However, in little over a week we finally get a new Thor movie! 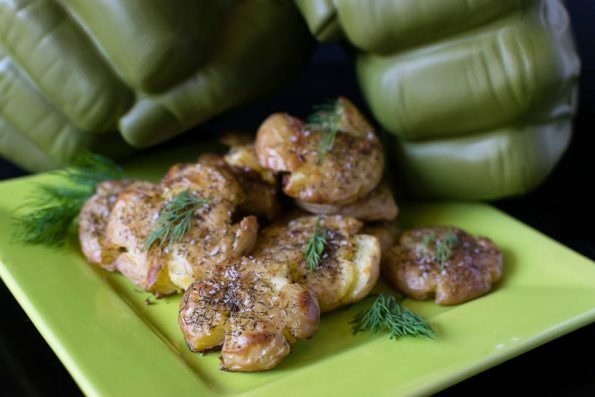 To celebrate the release of Thor: Ragnarok we have created a brand new recipe, Hulk Smash Potatoes! We also have 5 pairs of advanced screening passes to give away for next week’s screening! When we were thinking about what type of recipe we’d create for Thor: Ragnarok we wanted to create a Viking inspired recipe. However, Viking food isn’t all that exciting. We also thought back to one of the first Thor: Ragnarok trailer and remembered the scene with Hulk. That was it! 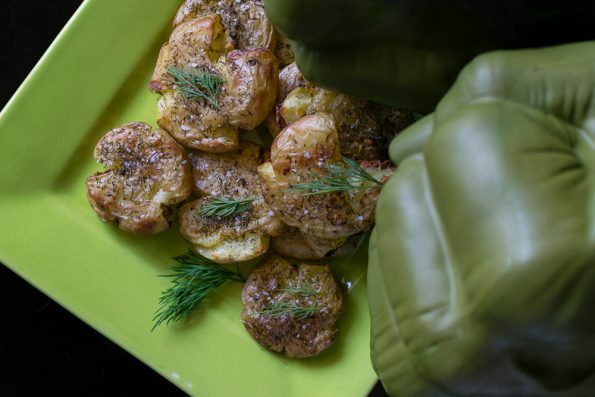 We’d do something smashed (which turned out to be potatoes) and use herbs and seasonings that the Vikings would have used (Dill and Salt). That is how the Hulk Smash Potatoes came to be! 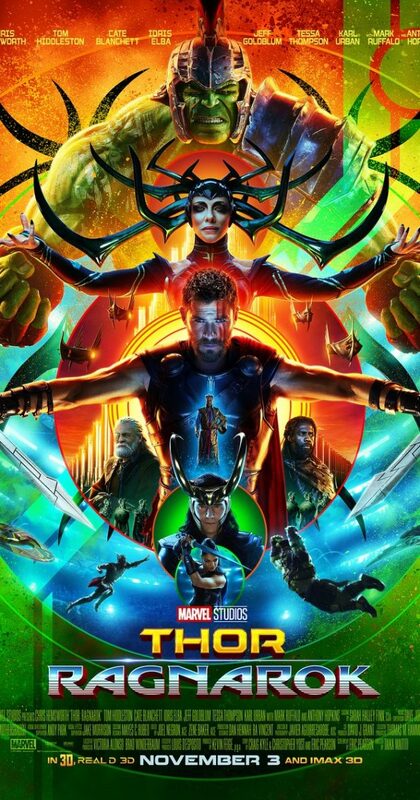 In addition to our taste bud smashing Hulk Smash Potatoes recipe, we are giving away 5 pairs of screening tickets for a sneak preview of Thor: Ragnarok in IMAX 3D! The screening will be held at Arizona Mills IMAX on October 30th. The screening starts at 7 pm and the winners should arrive at 6:30 in order to guarantee their seating. Winners will be selected on Friday, October 27th. Good luck! On a foil lined baking sheet, spray cooking spray. Place potatoes on baking sheet. Using a custard cup or your hand, smash the potatoes until they are approximately half an inch thick. Season with dry dill, salt, and garlic. Garnish with with fresh dill. These look delicious and I’m so pumped for this movie!